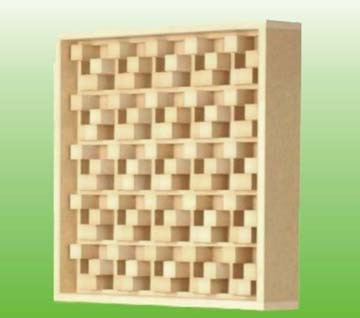 Basic material-adopting high density of moisture proof and mold proof panels the thickness is 15mm or 18mm. Veneer-melamine, fireproof panel, natural wood color veneer, we offer color chart for customer's choice. Acoustil tissue-black color, glued at the backside of panel, possess fireproof and sound-absorbing features. Makeup: each panel is inserted to the other panel's groove.